One of the places I've traveled to for a weekend many years ago and am dying to go back to in Italy is it's largest island, Sicily. One of the popular wineries of the island that I've written about a couple times now is Donnafugata. I'm pleased to share with you some of their latest releases including their 2016 SurSur Grillo, the 2016 Lighea Zibibbo and the 2015 Sedara blend. Grillo is the indigenous white grape of Sicily that typically lends a lot of tropical flavors due to the intense heat and sun of the island allowing the grapes to reach full ripeness. The name of the grape, grillo, translates to cricket, and is also a representation of good luck. In ancient times the Arabs were one of the cultural influences that inhabited Sicily and cricket in Arabic means sur sur, hence the name of the wine. Another grape stemming from the arabic word, zabib, meaning dried grapes is zibibbo. It's called zibibbo in Sicily, but it's also known as moscato and part of the muscat family. It is typically best known for producing the wine, passito di pantelleria, hailing from the island of Pantelleria off the western coast of Sicily. In one of my favorite Italian books, Vino Italiano, they describe a good wine of this area “is like biting into the plumpest golden raisin you can imagine”. It can also be produced in a dry style as is found here with Donnafugata's Lighea. The labeling shows off the vibrant colors that radiate off the island of Pantelleria. Sicily's most prominent red grape, nero d'avola (also known as calabrese), is what predominately makes up Donnafugata's Sedàra wine. In addition, it is blended with cabernet sauvignon, merlot, syrah and additional grapes. I love the labeling of Donnafugata and the Sedara shows the cellars of Contessa Entellina and the land in which the grapes are grown. Nero d'avola typically produces dark, inky colored wines comprised on dark berries with good structure and tannin. Many may compare it to syrah. *These wines were received as samples, but as always opinions are my own. Pictures mostly sourced from Donnafugata. Today our Italian Food, Wine and Travel group (#ItalianFWT) is covering the region of Emilia Romagna centrally located in northern Italy. 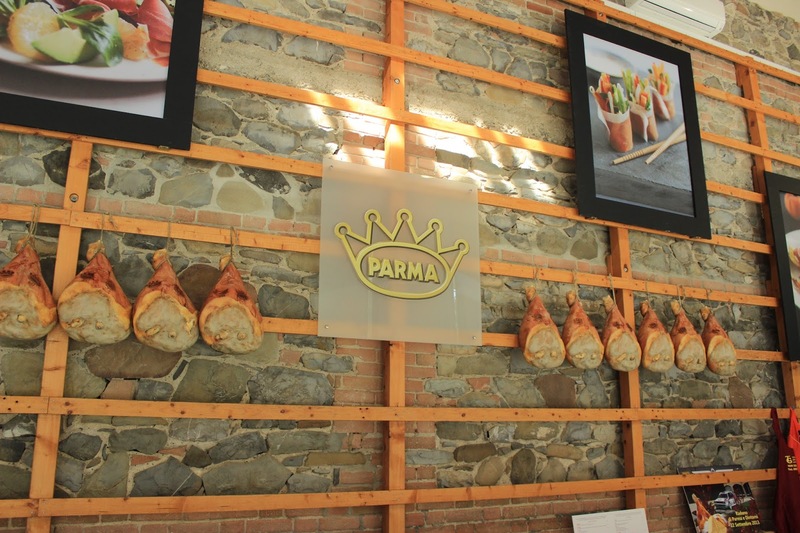 This region is full of gastronomic pleasures especially known for prosciutto di parma, parmigiano reggiano and the authentic balsamic vinegar of Modena. I traveled there for my honeymoon some years back and there was plenty to indulge in. When it comes to wine, Emilia Romagna is probably best known by the average wine consumer for lambrusco, but of course like every region of Italy there is so much more, especially the indigenous grapes of a particular region. I cover many of those on my Emilia Romagna page including lambrusco, pignoletto and sangiovese. Today we're adding to that list with the romagna albana grape. So let's get back to the topic at hand, romagna albana. The grape's name stems from the latin word, alba, meaning white since this is a white grape. It's in the same family as the garganega grape most commonly found in the Veneto and that is used to make up the wines of soave. Albana di Romagna was actually the first white wine in the area receiving DOCG status when it was established in 1987. You can find romagna albana mostly produced in the provinces of Ravenna, Bologna and Forli-Cesena. I've been to two of 3 of these towns excluding Forli-Cesena, but boy do I wish I loved wine back then. There is so much I could've explored trying wines all over Italy. 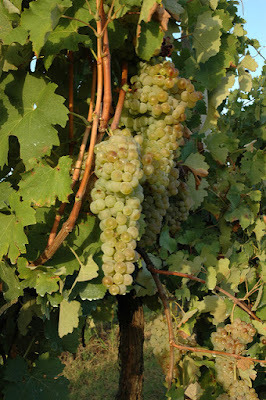 The clusters of grapes of romagna albana are distinct long narrow bunches of grapes of beautiful yellow color. It's most known for it's passito style where the grapes are dried for a short period of time, concentrating the flavors in the grapes and the wines they produce. They are then aged at least 10 months exuding strong floral aromatics and intense flavors of apricots, honey along with some spice. You can also find amabile, dry and dolce versions of this grape. There are sparkling wines made from romagna albana known as Romagna Albana Spumante, but they can only be labeled under the DOC designation. Has anyone had a chance to try this grape or even better yet visited this region? There is so much more to be shared on this wonderful region of Emilia Romagna so please continue with my fellow Italian food and wine lovers. 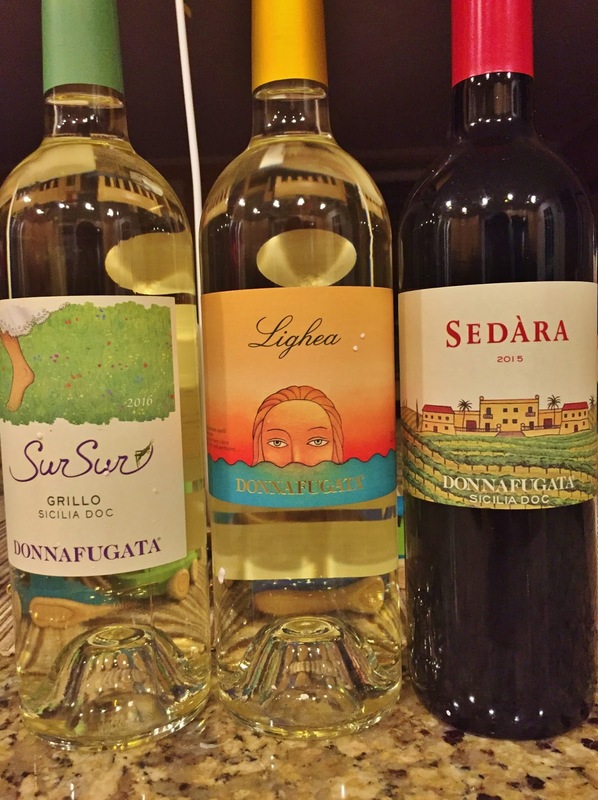 If you can join us this Saturday at 11am EST on Twitter we'll be chatting live at #ItalianFWT. Hope to see you there! Lynn Gowdy from Savor the Harvest highlights two of the region's main attractions in Italy’s Heart and Soul of Wine and Food. Jill Barth, author of L'occasion serves as our guide to a favorite local tradition with Ancient + Native: Rural Festival Emilia. Katarina Andersson, host of Wines of Italy Live Stream and Grapevine Adventures, explores Podere Palazzo - An Organic Winery in the Heart of Romagna. Camilla Mann from Culinary Adventures with Camilla introduces us to a unique specialty of the region with Nocino: A Green Walnut Liqueur from Emilia-Romagna. 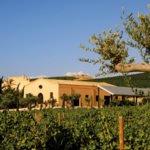 Our host today, Lauren at The Swirling Dervish will delve into The Winemaking Traditions of Cantina Braschi. Join us back here for another edition of Italian Food, Wine and Travel Saturday October 7th as our host Jeff Burrows of Food Wine Click will be featuring a Chianti extravaganza.